now voyager. 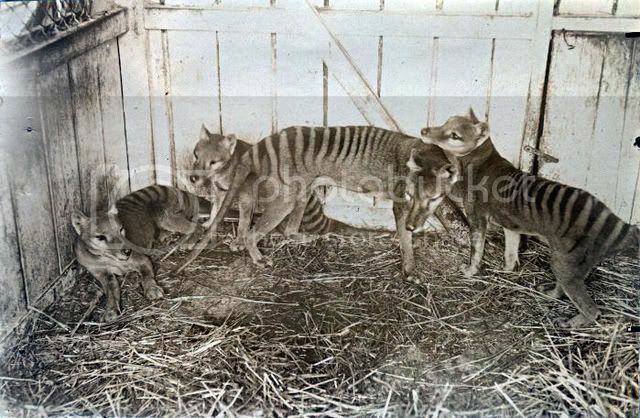 : the last thylacine. the last known motion picture footage taken of a living thylacine, a now extinct carnivorous marsupial. just a few seconds of black-and-white footage of the animal pacing backwards and forwards in its enclosure, taken in 1933, three years before it's death from exposure and neglect. ugh. how could people be so terrible to a beautiful tiger-dog with a pouch? ?